This entry was contributed by Vaughn Upshaw on August 31, 2015 at 7:55 am and is filed under Board Governance, Leadership Development, Tools and Practices. It has already begun. Candidates for municipal offices are telling the public how they will change your city or town. Some mayoral and city council candidates may be campaigning to fire the sheriff or eliminate funding for health services. A city manager or municipal employee may find such campaign promises amusing, that is, until the candidate gets elected and governing begins. Now is a good time to provide candidates information about municipal government in North Carolina. The School of Government’s web site offers candidates for local elected office information about how city and county governments are structured. The chart, below, illustrates different legal authorities for local governments in North Carolina. What Do North Carolina Cities and Counties Do? The School’s Board Builder Series includes a Handbook for Mayors and Council Members. This publication offers newly elected municipal officials an overview of how municipalities in North Carolina are established and operate. North Carolina’s League of Municipalities also has a web site that describes how cities and towns work. Consultant Madeline Henley works with local governing boards across North Carolina. She created a model for orienting newly elected municipal officials that could be adapted for use with candidates for elective offices. Municipal candidates will be more effective board members if they understand the services cities and towns may provide, their own roles and responsibilities, and legal requirements for public officials. Consider hosting an orientation session for all municipal candidates in your jurisdiction so everyone has the same information about what your city or town does. Managers are ethically bound to promote the interest of the public and keep citizens informed about local government affairs. Hosting an orientation for all candidates assures everyone has access to the same facts and increases transparency and openness in your community. Providing neutral, evidence-based information about your city or town to candidates can improve the quality of local campaigns and, more importantly, improve the quality of governance. After the election, you can offer local training sessions for the new and veteran members of the board to assure everyone is on the same page and ready to govern. Encourage new and veteran members of your council to attend the Essentials of Municipal Government and LeaderShop for veteran workshops. These programs, held regionally around the state beginning in January, allow your council members to learn about their legal and ethical responsibilities, functions of local government, and how values drive decision-making. Take the first step to build trust with candidates. 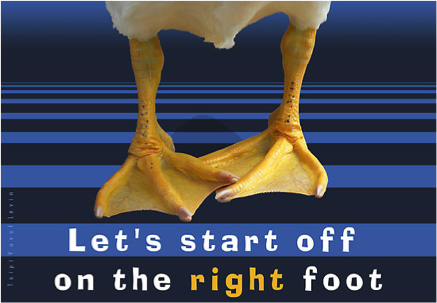 You never know who will be elected, so provide a good orientation for all candidates to start off on the right foot! This entry was tagged with the following terms: Candidates, Orientation.